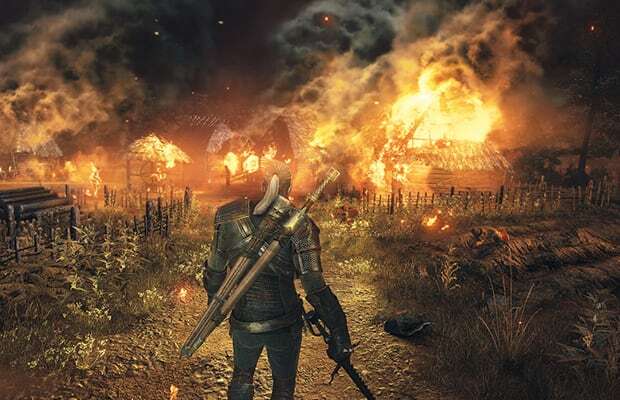 "The Witcher 3" Has HOW Many Endings? The Witcher 3 will have at least 36 different endings, CD Projekt&apos;s Marcin Iwinski told IGN in a new interview this week. The developer&apos;s next-gen open world RPG, which takes place in a fantasy realm that has a tone not unlike Game of Thrones&apos; Westeros, was already looking promising for an actual "next-generation" title, and this little tidbit just sounds all the more promising. Iwinski said it&apos;s a matter of actual player choice, because the game doesn&apos;t explicitly tell you whether or not a choice you&apos;ve made will have good or bad long-term effects. Mechanics like this have been seen in other RPGs before, but for the sheer amount of endings – assuming CD Projekt isn&apos;t referring to a Mass Effect 3 type situation (undoubtedly they&apos;re not) – the possiblities seem pretty broad indeed. "I can tell you that there are many, MANY different endings," Iwinski said. "You will definitely want to play this game more than once." Iwinski also talked to IGN about a lot of other Witcher-related stuff, so hit the link the below for the full interview.